April 30 is a public holiday in Vietnam known as Liberation Day, Reunification Day or Victory Day. It commemorates the Fall of Saigon, the end of the Vietnam War and the beginning of the transition period toward reunification of the country in 1975. The Vietnam War was fought from 1955 to 1975 by North Vietnam (supported by communist allies, primarily the USSR and China) and South Vietnam (supported by anti-communist allies, primarily the United States). It started as a civil war in South Vietnam, but eventually North Vietnam started to help South Vietnamese insurgents. On April 30, 1975, North Vietnamese forces captured Saigon, the capital of South Vietnam. They raised their flag over the presidential palace and renamed Saigon to Ho Chi Minh City. This event marked the end of the war. 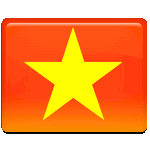 The formal reunification of Vietnam took place on July 2, 1976. In Vietnam, Reunification Day is marked by special events hold on or around the date. Vietnamese diaspora observes is at a day of reflection and mourning dedicated to exiled Vietnamese who had to flee the country after the Fall of Saigon and establishment of the communist rule. They refer to it as National Day of Resentment, National Day of Shame or Black April.